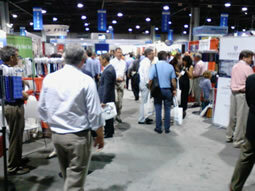 Although the U.S. economic picture and consumer confidence are still down and per capita income remains weak, there were no negative feelings evident at the Techtextil N.A./Texprocess Show in Atlanta.Â The show, which ran May 13th - 15th in Atlanta, generated a great deal of enthusiasm from both exhibitors and attendees.Â "This has been a great show for us," noted Mark Hatton, director of marketing and sales administration for American & Efird.Â "People wait two years to come here, so this is one of the reasons this show is so good." The show, co-located with JEC Americas (the world's largest organization exclusively dedicated to the composites industry), created the largest technical textiles, nonwovens, textile machinery, composites, sewn products and equipment trade show in the United States. The event drew 759 exhibitors from 29 countries and attracted 9,039 visitors. Country pavilions included Italy, Portugal, Belgium, China, Germany, Supply Chain USA and UBIFrance. The 2014 show produced a 45.8% increase over the first Techtextil North America/Texporcess America Show in 2012. According to show organizers, U.S. business in functional textiles is on the rise. With important production advances in both efficiency and technology, it is estimated that the total production of functional apparel textiles will represent $1,500 million by the year 2020. The FabricLink Network reviews some of the interesting discoveries and innovative textile developments that were showcased. Glen Raven Technical Fabrics (GRTF)introduced its new line of solution-dyed GlenGuardÂ® FR fabrics, which are a blend of Kermel® fibers and solution-dyed FR modacrylic fibers. In these fabrics, the color is introduced when the fiber is produced, rather than piece-dying the fabric after it has been manufactured. 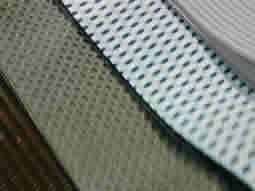 FR clothing produced from solution-dyed GlenGuard FR is maintained throughout the life of the garment. Since the fabric is solution dyed, rather than being topically treated, the solution-dyed process also adds the benefit of colorfastness to the list of GlenGuard FR protections. In a vertical exposure test to sunlight, solution-dyed GlenGuard FR fabrics out-performed Nomex®in colorfastness. After three months of continuous sunlight exposure, GlenGuard FR still maintains its rich color. Unlike any other FR garment, solution-dyed GlenGuard FR is a fabric that is inherently flame resistant and also colorfast, even after repeated commercial launderings. Jason Mills featured two new innovative products at the show including: 1) Golf Screen fabric for the reception of a high definition LCD projected image, that is a heavy gauge FR treated polyester fabric that consists of a 3-layers with a spacer-fine layer that absorbs sound and prevents dimpling from the impact of golf balls, and is available in 10 ft. widths, and weighs 13 oz. per sq. yd. ; and 2) Ultra UV Screening Material for applications as bug screens, windows and doors in tents, and will last 2,000 hours without fading, while other fabrics last 20 to 200 hours. The fabric meets all specs for auto, camp tenting, and sports tenting. Contempora Fabrics, a Lumberton, NC, based circular knitting manufacturer, showcased its knitting technologies that enhance and improve fabrics while addressing sustainability and environmental concerns. 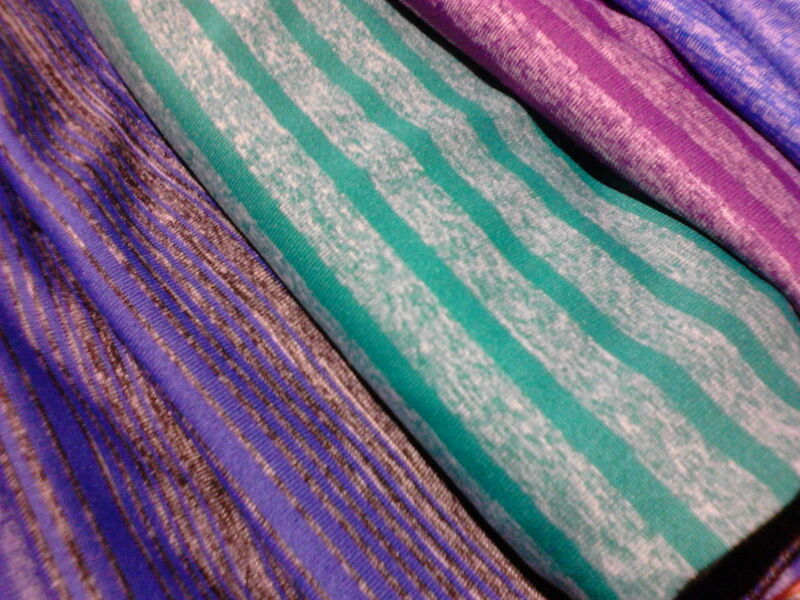 At Techtextil N.A., the company featured its 100% polyester piece-dyed stripes. The company also introduced its association with TRIZAR™ Clean Textile Technology that brings the best Clean Textile Technologies to market, while using waterless dyeing to reduce the water pollution created by textile dyeing. This pollution typically produces nearly 20% of total water pollution globally. Trizar materials, originally designed for NASA, increase UPF and reflect sunlight away from the body at light speed, thus keeping the body cooler. Kuraray introduced its new PEI-Fiber. PEI (polyetherimide) is an amorphous thermoplastic resin with special features, such as high heat resistance, flame retardant, non-halogen, low toxicity, dimensional stability, low water absorption, lightweight, good dyeability, and low smoke density. Potential applications include: energy, protective apparel, electronics, sports, workwear and firefighting apparel, wall fabric for buildings, fire-blocking layer in sidewalls and seat textiles for railway, aircraft, and automotive. Highland used the Techtextil N.A./Texprocess Americas to officially launch its carbon composite business. The company has acquired the necessary grading equipment to create carbon-braided composites for automotive and aerospace applications. Highland will be 95% operational in this area by August 2014, and expects to be in full production by October 2014. The company will be producing carbon fiber into flat braids, or injecting the carbon fiber resins or pre-applying the carbon fiber resins to the fabric. According to Highland, the use of composites is expanding significantly. Going forward, carbon composites are expected to replace metals in the automobile, aircraft, aerospace, and industrial markets. Carbon fiber is stronger than steel and 1/5 lighter than aluminum. In spite of its lightweight, the fiber is extremely efficient. Because of this efficiency, the Boeing 787 aircraft is constructed using 52% composites, and the Boeing 777 consists of 50% composite materials. Alamac American Knits showcased its specialty line of engineered feeder and automatic striped and jacquard fabrics, with collars and welts to match, that are made from 100% polyester, poly/CRAiLAR® flax heathers, poly/cotton/rayon tri-blends, and mock-twist tri-blends. Samples are shown in the photo to the right. Pharr Yarns presented its Performance Divisionâ€™s yarns, designed and engineered to meet specific end-use requirements. These yarns include: 1) Flame-resistant yarns for gear worn by firefighters and first responders, which meet North American and European requirements; 2) Yarns engineered for fabrics that protect individuals dealing with molten metal splash, electrical arc, high visibility, cut and chemical resistance, which meet NFPA and ANCI standards; 3) Technical yarns blended to meet military, law enforcement, and safety organization standards; and 4) Unique fiber blends requiring technical compounding for use in industrial, aerospace and composite applications. Norafin Industries GmbH was exhibiting at the show to promote its Norafin® solution for providing engineered fabrics, specialty and technical nonwovens and composites. The company targets industrial market segments such as filtration, performance apparel and specialty applications with tailor-made solutions, which respond to a variety of market needs. American & Efird highlighted several new sewing threads at the show, including: 1) AneSoft® sewing thread, uniquely designed to improve the softness of seams in multiple applications including activewear, yogawear, swimwear, intimate apparel, and garments where seam softness is critical; 2) D-Core® RFD, an enhanced cotton-wrap-polyester core thread, and a premium over-dyeable core thread for garment-dyed products; and 3) AneFlex™ a continuous filament PBT sewing thread, available in a range of colors, to deliver highly elastic seams without compromising seam strength or performance. Aneflex™ is ideal for sewing swimwear, exercise apparel, sportswear, compression garments, intimate apparel and casual wear.